I know I promised I wouldn’t post any more donation quilts “for the time being.” The time being is over and I have another top and back finished. Things are kind of coming together with finishes lately, which is nice. 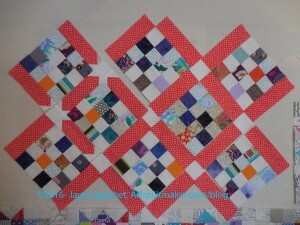 I worked on the Cutting Corners Donation top on Saturday. I was able to finish the top, the back and the binding. It occurred to me that I should make a Frankenbatting as well. I haven’t done it yet, but I have time before the meeting. I know I said I was struggling with the corner pieces last time I talked about this top. I decided to move along by sewing together as much of the top as I could. After putting the entire top together, I found that the corners I had made and discarded actually fit in the corner spot. 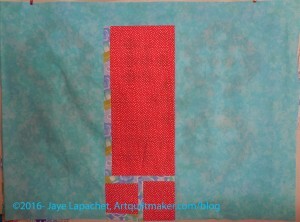 I was pleased and shocked to see how much the quilt shrunk up when I sewed it together. After all of these years, I shouldn’t be surprised, but I was. 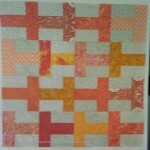 It is nice that quiltmaking can still surprise me. I definitely like the way this top came out, but I am on fence about the ruler. I am not sure that using the ruler was the easiest way to get to the finish. I will probably try it again with different fabrics. This project has been on my to do list forever. Now it is OFF! It is complete. Finished. Done. So, the deal with this piece is that I got the panel somewhere. 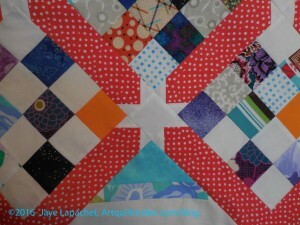 I think I may have been collecting opportunities to practice my free motion quilting at the time. (Stop laughing!). It hung around for a few years. At some point, I probably put it on the to do list when I cataloged my UFOs. It was on the to do list for a long time. At some point I decided to get busy and work on these languishing projects. The only thing I might do is embroider my name on the back. there is no label on this piece and I don’t want it to be anonymous. 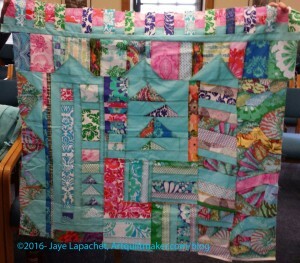 Author JayePosted on Wednesday, March 30, 2016 Saturday, March 4, 2017 Categories 2016Tags Christmas Tablerunner, Completed Project!, Home Decor5 Comments on Christmas Tablerunner! 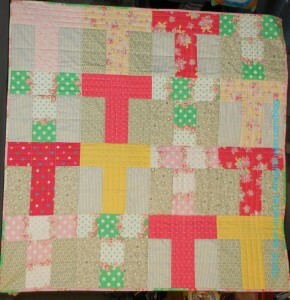 Yes, this is donation quilt week. I promise this is the last one I have for the time being. Last August, I talked about the Flower Sugar Donation top. I made the top out of leftover fabric from the Flower Sugar Hexagon (Attack of the Hexies) quilt. Gerre offered to quilt it. I got the finished piece back from her at the BAM meeting. She hadn’t completely done the binding, but had sewed most of it by machine. I had given her a piece of binding that was a bit too short, so I added to it. 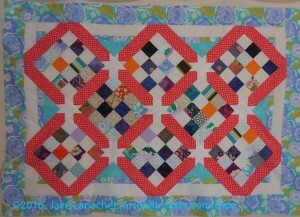 Then I sewed it the rest of the way on to the quilted piece then spent the time hand stitching the binding down. I was feeling like a bit of a slacker, so I was glad to get this piece done. It felt like I had FINALLY finished something. The fabric I used was, again, called Flower Sugar by Lecien. I still have bunches of it left even though I also used it for the back. I warned Gerre that she might be seeing another one with the same fabric. I also used some Bonnie and Camille greys/taupes for the background pieces. They are from various lines. Compared to the cool greys I am using for the Flying Geese, these background pieces look really, really brown to me. So, yay! A finished piece. I am so pleased it is a donation top. 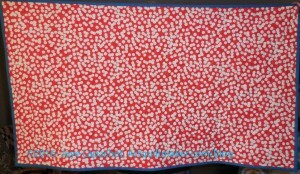 I came across the mystery quilt I made at the BAMQG retreat a few years ago. When I found it it was in pieces. I decided I would put it together and give it to the Charity Girls. I sewed 2 seams max, put it in my bag for the meeting and handed it in. 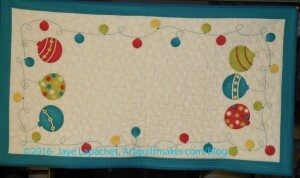 I love the fabrics, but they didn’t work out very well and I was glad not to have another UFO to clutter up my mind. I spent last Sunday finally working on the Cutting Corners donation top. I was fiddling around not knowing what to do. I pulled out a piece of Dear Stella orange dot fabric and was inspired to use it as the sashing. Off I went. The Cutting Corners ruler is not an easy ruler to use, especially for someone like me who is pattern reading challenged. I finally got the critical information and worked on the sashing. The picture above shows the first steps of creating the lozenge shape. I am not sure this is the easiest method to create this type of sashing. I am having problems with the corner triangles. The directions for the side triangles are ok. The corner triangle directions are abysmal. There is one line about how to make the corner triangles. I have been emailing back and forth with Mrs. K, but I think I am going to have to call her and get more info. I probably would have used a different sashing fabric if I had been thinking more. 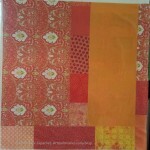 I went with my intuition, though and I kind of like the effect of the orange. I hope to be able to finish at least the top soon. Perhaps this weekend. ENTRANCE is a subtle psychological thriller centered upon Suzy (Suziey Block), a young woman in Los Angeles who can’t get comfortable in her own skin. EnTranCe is the hotspot of applied sciences for businesses and innovations. In Eastern Orthodox and Byzantine Catholic churches, an entrance is a procession during which the clergy enter into the sanctuary through the Holy Doors. Thank you for leaving a comment. I really appreciate it. If you have never left a comment, I need to approve it. 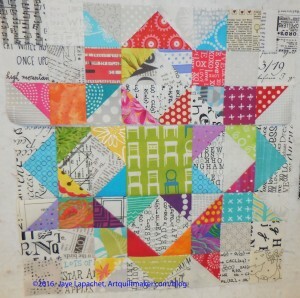 Recently, a kind person named Jen left a comment adding to the list of QuiltCon posts on the last V&S post. I could not approve her post, because, though it seemed real, she did not leave an email address or a website so I could check. This information, when you register, is not shared. Please do not leave fake addresses. I do appreciate your comments, but I need to confirm that you are not a spammer. Thanks! I finally took a look at Melissa Averinos’ website. Her quilts are colorful, but have an element of sadness to them IMO. Her blog has a lot of OMG in it, but I think a lot of good has happened to her recently, so understandable. Libs Elliott posted a great manifesto of sorts on Instagram. She posted it during the dark time on Instagram, so I am not sure how many people saw it. Take a look. The Monterey Peninsula Quilt Show is coming up on the weekend of April 9. Entry is only $5 according to their website! Winners of the Lancaster AQS Show have been posted. Piecemakers Legacies of Love Show will be held in Fremont July 16 & 17, 2016. Check the website as the date gets closer for more details. Yes, I have many of these low volume prints, but I will take the ones I don’t. Thanks. Take a look at the article as the ideas in the comments are more specific and useful. Frances has written a very good essay on why quilts matter. If you have listened to her podcast you know that the PBS series by the same title didn’t provide satisfaction in telling us why quilts matter. Frances picks up the slack in a well written and articulate piece. I found an article about a mathematician who is also a quiltmaker. The article describes her method of ‘tube piecing’. The writer does not seem to have done any research into the current information, blogs, magazines about quiltmaking, because there is a tone of ‘awe and amazement at this little known artform’ (a description of my impression). 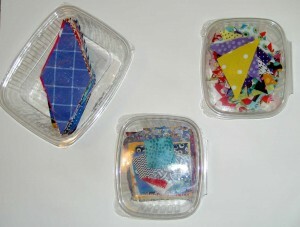 I was also kind of surprised at the phrase “strip piecing, a technique developed by Ernest Haight in the 1960s and ’70s. ” I have never heard of Mr. Haight so I did a little digging and found an IQSCM exhibit featuring his work as well as a QNM article. Frances has some thoughts on why the 16 billion dollar quiltmaking industry appears to be invisible. 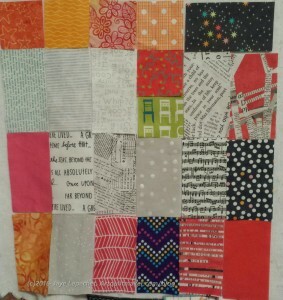 Reminding you of a theme at QuiltCon, which was to learn what you can from classic quiltmakers, I wanted to share a blog post on borders with you. Jinny Beyer has always had an interesting take on borders and you might be be able to incorporate some points into your modern quilts. TFQ told me about a color activity. Try it out. It tests your color acuity. If you want fantastic soaps, check out my sister’s shop, Wooden Heart Soaps, on Etsy. If you see soaps in the shop, buy, because they are fantastic and made in limited quantities. She also has a Facebook shop where she posts tidbits of information. 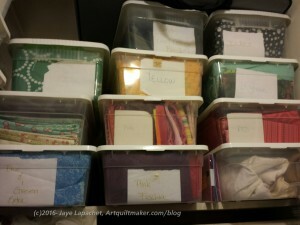 I saw a post by My Creative Corner and took a look at her blog. I like her style of writing. Now that Instagram is changing to a ‘relevant’ sort (a la Facebook) in the feed, are we all moving to Ello? 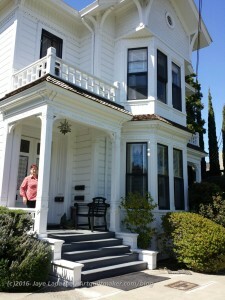 Clue #3 has been posted by Charlotte of Scraptiude fame. This is for her latest mystery quilt Scrap in the Corner. Leave a comment if you are making this project with a link to your progress. I’d love to see how you are doing. Now I have a dilemma. I now have 10 blocks. That is a very awkward number with which to lay out a quilt. 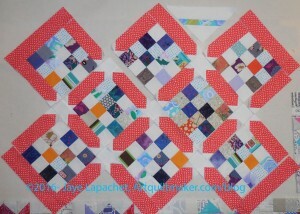 I am going to look at the blocks and see if I can eek out two more unique layouts. If not, I may make two more of my favorites. I will also try to lay the blocks out in different ways to see if there is an interesting layout which will work for this piece. At the EBHQ Show the other day, I noticed a lot of quilts that were made because the artist had something in his/her fabric stash already. There was a lot of “I made this quilt because these blues had been in the drawer for awhile” type of descriptions. 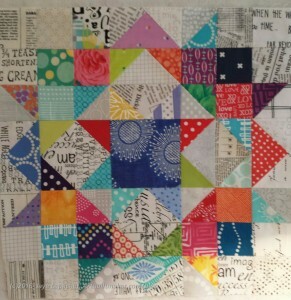 So, you made the quilt because you had some fabric laying around? You didn’t like the pattern you selected? There was no challenge in the technique? You weren’t inspired by the blue of the sky and sea and picked appropriate fabric that you already had? 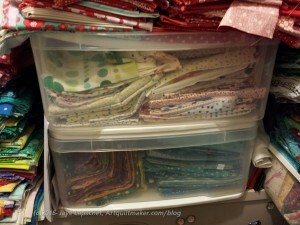 I don’t think it is wrong to use fabric in your fabric closet. I don’t think it is wrong to be inspired by a fabric line. If I did think that you would all call me out and you should! Often, I am in the process of making a quilt and not at all inclined to go out, buy some fabric, wash and iron it before being able to finish. By that time it is time to cook dinner or someone needs my attention and the quilt will languish. I like having fabrics on hand with which I can work. 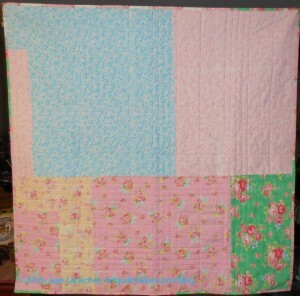 I do wonder why anyone would make a quilt solely because they had certain fabrics? Where is the fun in that? 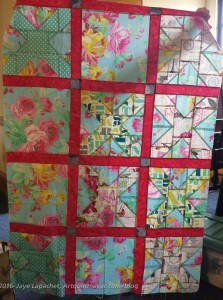 Quilts require a lot of effort so to have one aspect be the sole reason you make one seems a little odd to me. What do I have that is appropriate to use to make progress? Why or why not is it working? What do I need to change to make the piece work? Where am I, after making some progress, based on what I started out to achieve? Quiltmaking is not a life or death situation and if people want to make a blue quilt because they have blues in their stash, at least more quilts are being made. 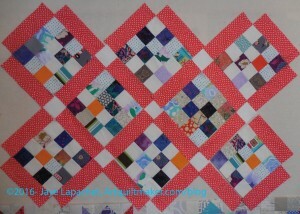 I hope that quiltmaking will keep my brain pliable and active as I age. I hope that all the different aspects of quiltmaking will provide a variety of opportunities to continue learning and growing. Darla, of the Scientific Quilter, is hosting the #March-a-long event. The short version is that you do something quilty for 15 minutes per day. I failed last week, but was doing pretty well especially since I have a lot of ironing of fabric to do. After ironing comes cutting and that means more FOTY fabrics. Yes, I should starting putting FOTY 2015 together. I haven’t quite gotten to it, but soon. I have cut a number of patches for the quilt and it is interesting to see the themes that crop up in my patches. That purple on the bottom looks a lot better cut into smaller pieces. I pulled it out to cut and wondered what I was thinking when I bought it. Good thing I have no problem cutting up fabric. I didn’t mean to have two donation posts in a row, but it was more about poor blog post planning than not knowing I was going to sew. Gerre and I spent the day together chatting and making another donation top. I had cut the backgrounds for a T quilt a few months ago, but didn’t finish the foreground cutting. I brought what I had and my bin of orange fabrics since sewing together is way more fun than sewing alone. It was great. Gerre was kind enough to listen to a couple of sad tales of woe. After that was over, I started in on cutting foregrounds while Gerre set up to sew. Pretty soon she was sewing as I handed her packaged sets of ready-to-sew patches. We both pressed. It took us about 4 hours to make the top back and binding, but we had lunch in between and I wasn’t caught in terrible traffic on my way home. All in all it was a pretty leisurely schedule. Satisfying to finish a top and back as well. These aren’t great photos, but you get the idea. The top is about 45″x45″. 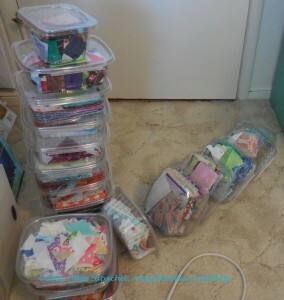 The binding will be random bits of leftover fabrics. It was a great way to spend the day and I really needed a day of sewing as it was a stressful week. Also, we were able to do something good for someone else. After this one, only 10 more prompts!!! Project Dragonfly, at Miami University, promotes inquiry-driven reform, reaching millions of people worldwide through learning media, exhibits, and education programs. From Luke Burns Enterprises: Dragonfly is a very small and compact browser. It uses very little disk space, but is capable of visiting any Web site on the Internet. The Dragonfly tube set was designed to build the lightest possible bicycle frames without sacrificing stiffness, durability and ride quality. Dragonfly Symbol Native American Indians had a highly complex culture, especially those who lived on the Great Plains. Definition: “A dragonfly is an insect belonging to the order Odonata, suborder Anisoptera (from Greek … anisos “uneven” + … pteros, “wings”, because the hindwing is broader than the forewing). Adult dragonflies are characterized by large multifaceted eyes, two pairs of strong transparent wings, sometimes with coloured patches and an elongated body. Dragonflies can be mistaken for the related group, damselflies (Zygoptera), which are similar in structure, though usually lighter in build; however, the wings of most dragonflies are held flat and away from the body, while damselflies hold the wings folded at rest, along or above the abdomen. Dragonflies are agile fliers, while damselflies have a weaker, fluttery flight. Many dragonflies have brilliant iridescent or metallic colours produced by structural coloration, making them conspicuous in flight. An adult dragonfly eye has nearly 24,000 ommatidia. Fossils of very large dragonfly ancestors in the Protodonata are found from 325 million years ago (Mya) in Upper Carboniferous rocks; these had wingspans up to about 750 mm (30 in). About 3000 species of Anisoptera are in the world today. Most are tropical, with fewer species in temperate regions. Dragonflies are predators, both in their aquatic larval stage, when they are known as nymphs or naiads, and as adults. Several years of their lives are spent as nymphs living in fresh water; the adults may be on the wing for just a few days or weeks. They are fast, agile fliers, sometimes migrating across oceans, and are often found near water. They have a uniquely complex mode of reproduction involving indirect insemination, delayed fertilization, and sperm competition. During mating, the male grasps the female at the back of the head or on the prothorax, and the female curls her abdomen under her body to pick up sperm from the male’s secondary genitalia at the front of his abdomen, forming the “heart” or “wheel” posture. Opera Dragonfly — our fully-featured suite of developer tools, designed to make your job easier. “Dragonflies”, an episode of The Mighty B! This is the next Carpenter’s Wheel. I almost finished it in between this week’s donation blocks and the Peacock blocks. I have one more seam.